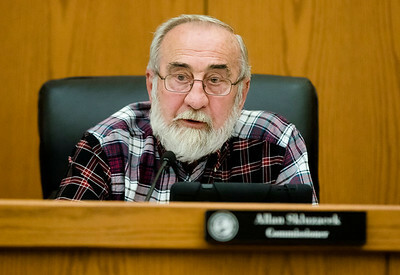 Sarah Nader - snader@shawmedia.com Crystal Lake Planning and Zoning Commissioner Dave Goss voices his concerns after listening to a conceptual plan for Williams Crossing, a 62 acres development of homes off of Main Street is presented during Wednesday's Planning and Zoning Commission meeting in Crystal Lake Nov. 1, 2017. The property would require a zoning change if pursued. 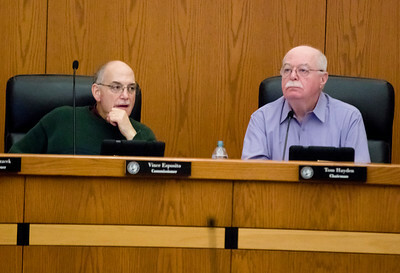 Sarah Nader - snader@shawmedia.com Crystal Lake Planning and Zoning Commissioner Vince Esposito (left) and Chairman Tom Hayden listen while a conceptual plan for Williams Crossing, a 62 acres development of homes off of Main Street is presented during Wednesday's Planning and Zoning Commission meeting in Crystal Lake Nov. 1, 2017. 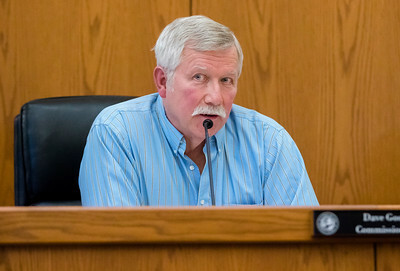 The property would require a zoning change if pursued. 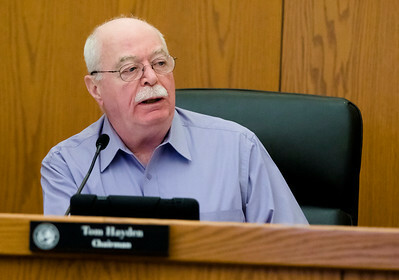 Sarah Nader - snader@shawmedia.com Crystal Lake Planning and Zoning Chairman Tom Hayden listens while a conceptual plan for Williams Crossing, a 62 acres development of homes off of Main Street is presented during Wednesday's Planning and Zoning Commission meeting in Crystal Lake Nov. 1, 2017. The property would require a zoning change if pursued. Sarah Nader - snader@shawmedia.com Crystal Lake Planning and Zoning Commissioner Allan Skluzacek listens while a conceptual plan for Williams Crossing, a 62 acres development of homes off of Main Street is presented during Wednesday's Planning and Zoning Commission meeting in Crystal Lake Nov. 1, 2017. 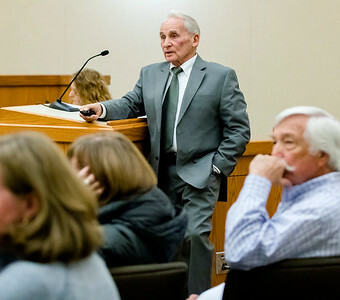 The property would require a zoning change if pursued. Sarah Nader - snader@shawmedia.com Kenneth Rawson presents a conceptual plan for Williams Crossing, a 62 acres development of homes off of Main Street during Wednesday's Planning and Zoning Commission meeting in Crystal Lake Nov. 1, 2017. The property would require a zoning change if pursued. Crystal Lake Planning and Zoning Commissioner Dave Goss voices his concerns after listening to a conceptual plan for Williams Crossing, a 62 acres development of homes off of Main Street is presented during Wednesday's Planning and Zoning Commission meeting in Crystal Lake Nov. 1, 2017. 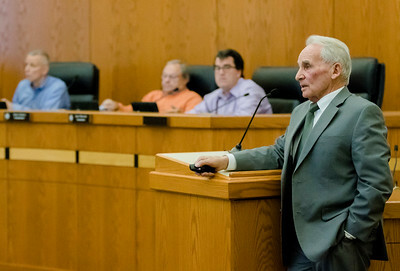 The property would require a zoning change if pursued.